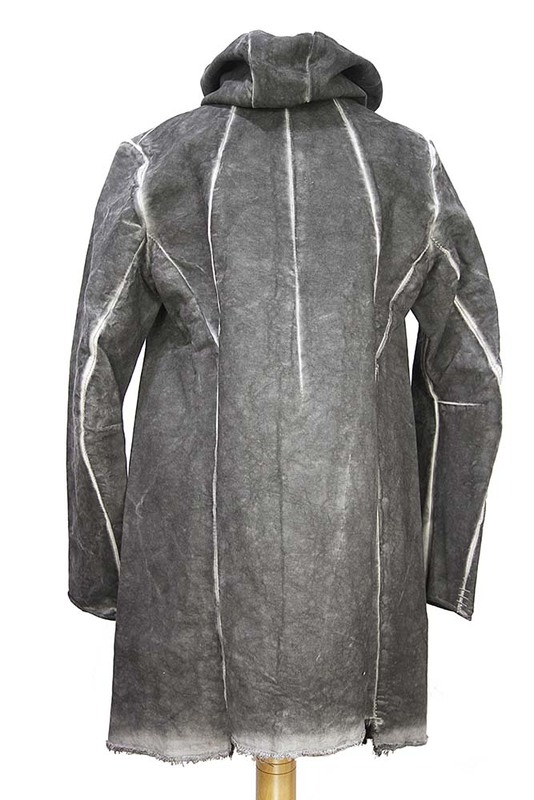 Masnada overdyed grey hooded, zip coat in storm grey colour, in a solid cotton drill. Hood with inner black trim. Heavy duty double zip fastening down front. 2 angled pockets in seams. Cuffs with narrow trim finish and heavy metal stables (3) detail. Lighter seam details. Beautifully finished throughout, with French seams, as good as it gets.